There are two things I love most about Mexican parties: good guacamole and aguas frescas (OK, a homemade corn tortilla is also at the top of the list). If you’ve traveled to Mexico, you’ve probably seen street vendors selling aguas frescas in lively town squares or on the side of the road. A few authentic Mexican restaurants in San Antonio also list them on their drink menus (try the agua de jamaica/hibiscus water at Guajillo’s Authentic Mexican Cuisine on Blanco and 410. Come to think of it, try their guac, too). 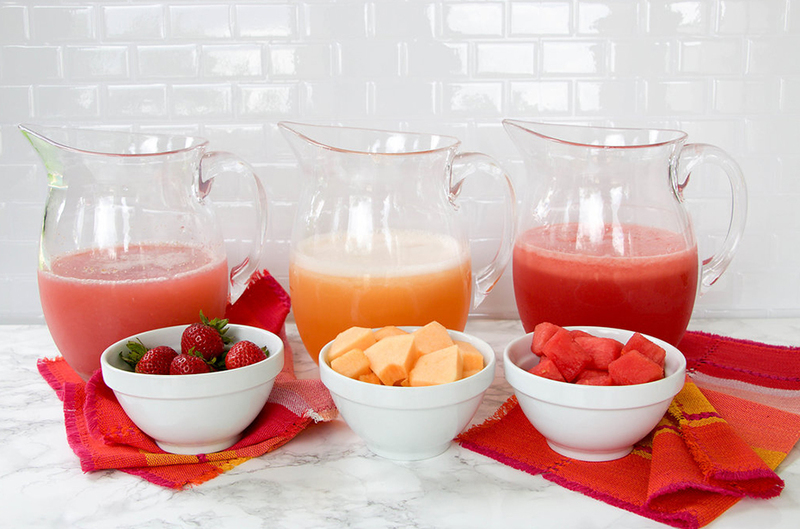 Aguas frescas, Spanish for “fresh waters,” are blends of fresh fruit, vegetables, or flowers, water, a touch of a sweetener, and sometimes, fresh herbs and seeds. 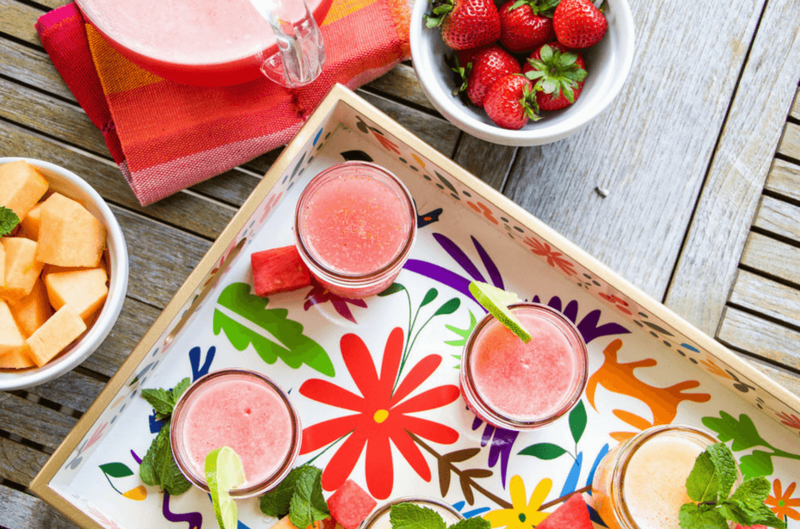 They’re a nice twist for enjoying the season’s fresh fare, and because you can easily make large batches in minutes, aguas frescas are the perfect non-alcoholic drink to serve at summertime get-togethers. With a little honey and touch of vanilla, this isn’t a drink. It’s dessert. Just a touch of mint with fresh melon gives this aqua fresca a cool and crisp edge. It’s my favorite. Watermelon is so sweet, there’s no need to anything but a little water, and if it’s a seedless variety, a good blender will let you skip the sieve. You can add a little fresh lime juice to give it just a touch of tart, but it’s delicious on its own. Place the strawberries and 2 cups of the water in a blender, and blend until smooth. Pass the strawberry mix through a sieve. Return mix to the blender and add the honey and vanilla. Blend on HI speed for 30-60 seconds. Pour into a pitcher, add the remaining water, and chill until cold. Stir before serving. Put half of the melon (4 cups), 1 Tablespoon of honey, and 1 cup of water in the blender. Blend until smooth, about 30-60 seconds. Pour into a pitcher. Repeat with the remainder of the melon, honey and another cup of water, and add to the pitcher. Add the remaining 4 cups of water. Stir well, remove foam with a spoon. Chill, and stir again before serving. Makes about ten 8-ounce servings. Blend half of the watermelon with half of the water until smooth. 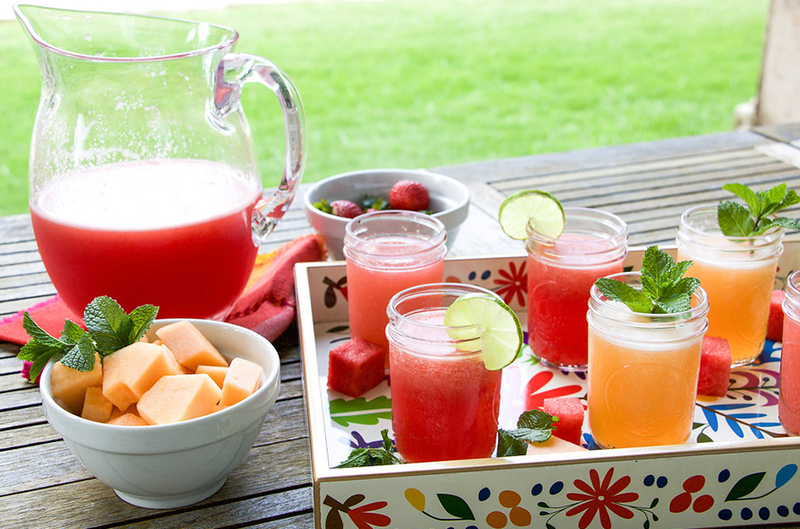 Pour into a pitcher and repeat with the rest of the watermelon and water. Stir, chill, and stir again before serving. Play with the honey until you find your preferred level of sweetness.